Land Banking Schemes involve a company approaching individuals, often through ‘cold calling’, offering to sell them plots of land at an inflated price with the promise that, if that plot gains planning permission at a later date, the value of the land will increase exponentially. Investors are typically promised five to ten times the value of their initial investment. Unbeknownst to the investor, the land being sold by the company is often green belt or conservation area land meaning that it is highly unlikely, if not impossible, for planning permission to ever be granted. Our team has a great deal of experience in this area and can assist investors in recovering their losses even where the company that sold the land is no longer in existence. Investors may have claims against not only the company, but also against any financial adviser that was involved, against the Trustees of their pension SIPP (where investments were made by way of a SIPP) or alternatively against the solicitors that acted in registering the land in question even if those solicitors were not acting specifically for the investor. For advice on your particular investment please contact Julia Norris at our Manchester Office. 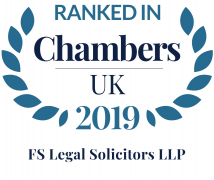 The registered office of FS Legal Solicitors LLP is 1 Hagley Court South, The Waterfront, Brierley Hill, West Midlands DY5 1XE (registered in England and Wales under number OC366452) and it is authorised and regulated by the Solicitors Regulation Authority under number 565776.